MARQUETTE — The Michigan Duck Hunters Association, in cooperation with the Michigan Department of Natural Resources, has introduced the 2018 special Governor’s Edition Michigan duck stamp and print. 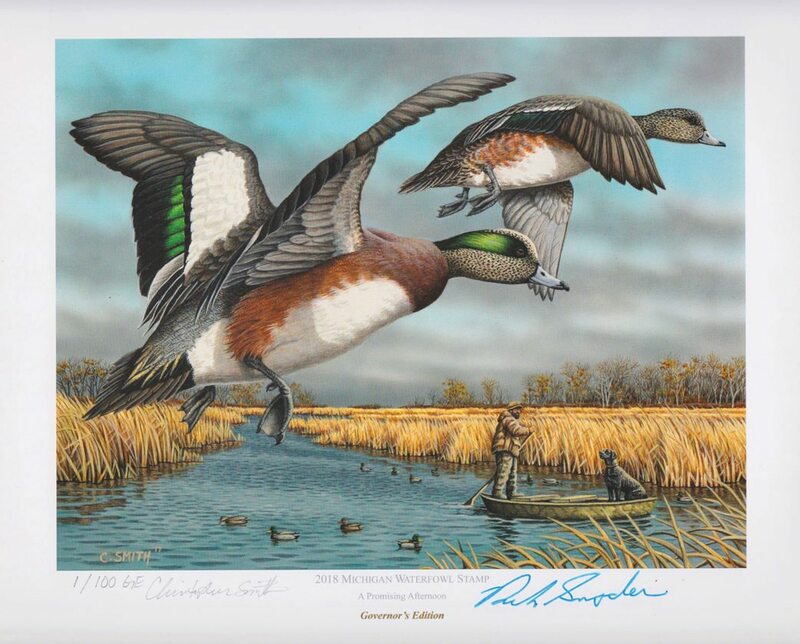 The Governor’s Edition Michigan duck stamp and print feature a pair of American wigeons in flight and Gov. Rick Snyder’s signature. Only 100 copies of the Governor’s Edition print will be available, for $150 each. Governor’s Edition prints each come with an artist-signed edition of the standard 2018 duck stamp and the special Governor’s Edition duck stamp. Two hundred copies of the stamp will be sold at a price of $25 each. In addition to the Governor’s Edition stamp, a standard version of the 2018 Michigan duck stamp and print — featuring the artwork only, without the governor’s signature — also will be available. Christopher Smith, a wildlife artist from downstate Suttons Bay, painted the 2018 Governor’s Edition Michigan duck stamp. 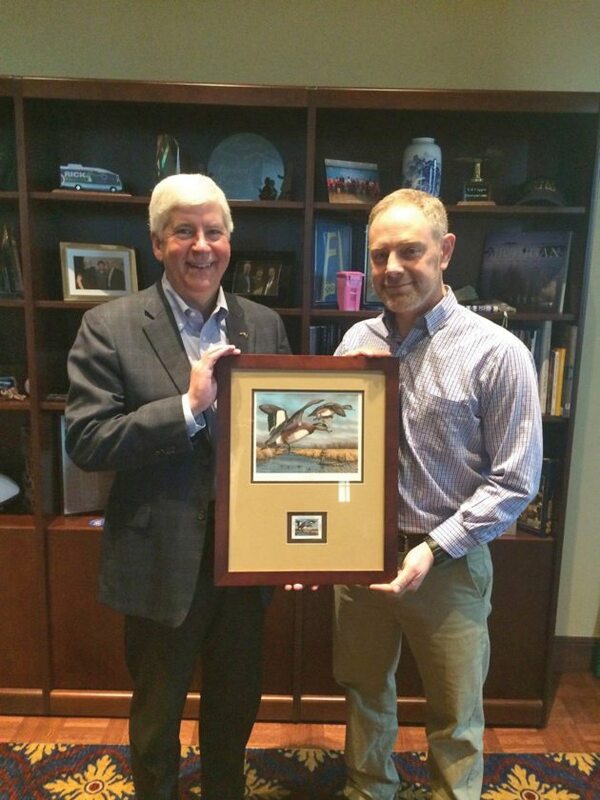 Smith also took first place in the 2016, 2014 and 2005 Michigan State Duck Stamp Contest, coming in second in 2013, and placed first in 2009 and 2014 for the Michigan Ducks Unlimited Sponsor Artist of the Year. He tied for seventh place in the 2016 Federal Duck Stamp Contest, and his entry currently is on national tour with the rest of the top 20 entries. Smith also painted the 2013 Print of the Year for the Ruffed Grouse Society. 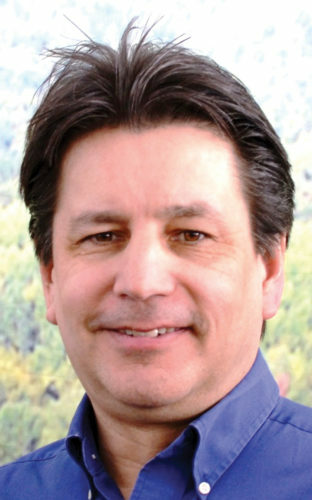 Smith, a graduate of Lake Superior State University with a bachelor of science degree in fisheries and wildlife management, specializes in dogs and wildlife scenes for pet owners and wildlife lovers across the United States, according to his website at chrissmithart.com. He has illustrated more than 24 hunting and fishing books and is working on another waterfowl hunting book, “Small Water Waterfowling,” slated for release in September. The Michigan Duck Stamp Program, established in 1976, has become an icon for waterfowl hunters and wetland conservation enthusiasts. During the past 41 years, the program has gained popularity with collectors and conservation groups throughout the United States. The Michigan Duck Hunters Association, a nonprofit organization dedicated to waterfowl and wetland conservation, coordinates the Michigan Waterfowl Stamp Program in partnership with the Michigan DNR. 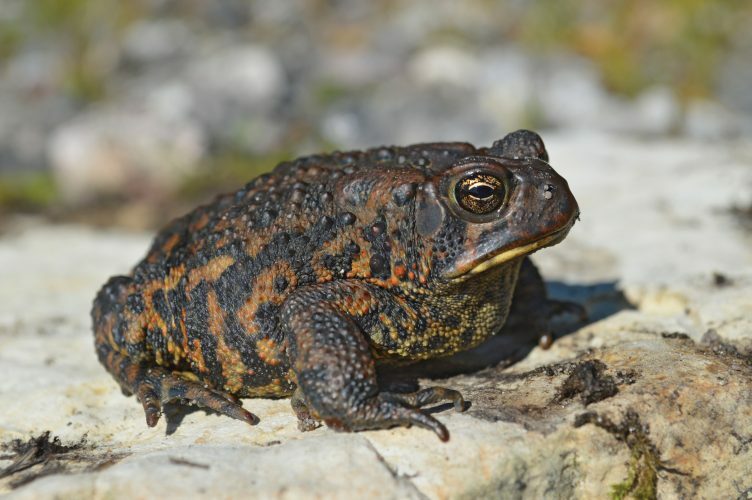 Proceeds from stamp and print sales are used to fund the association’s wetland habitat projects, with 10 percent used to match DNR funding for purchasing, restoring and enhancing wetlands. Purchase of Michigan duck stamps and prints helps to ensure continued conservation of wetlands and waterfowl habitat. To learn more about the Michigan Waterfowl Stamp Program and how to support conservation efforts in Michigan through the purchase of limited-edition, signed and numbered prints and collector-edition stamps, visit michigan.gov/waterfowl. Program information is under Additional Resources. 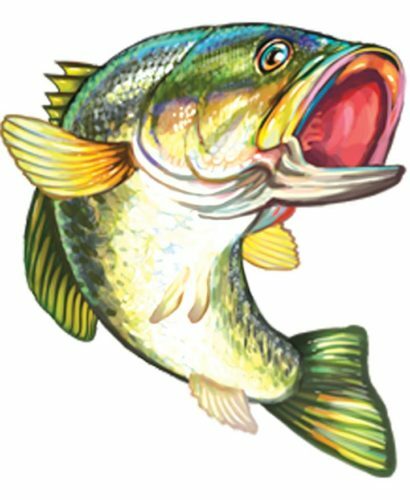 Also at michigan.gov/waterfowl is a list of waterfowl species and their particular season information and bag limits. Those species include the American coot, Canada goose, common moorhen, ducks and mergansers, other geese, rails and snipe. The site also has waterfowl and wetland species identification sheets in case hunters or observers want to know, for example, the differences between a greater and lesser scaup. Purchasing the stamps is voluntary and does not replace the state waterfowl hunting license. The Michigan Duck Hunters Association will mail individuals who buy a 2018 waterfowl hunting license a free copy of the standard 2018 stamp, subject to availability, if they send a self-addressed, stamped envelope with a copy of their Michigan waterfowl hunting license to: MDHA Waterfowl Stamp Program, P.O. Box 186, Kawkawlin, MI 48631.